Home / News / How do I choose the right marine rubber? How do I choose the right marine rubber? When choosing rubber for marine applications, it's important to take into account several factors. Marine rubber must be able to withstand salt water, wind, sunlight, extreme heat and cold, and other environmental conditions. If you choose the wrong material for your marine application, you could be looking at thousands of pounds worth of repairs, and even sinkage. It’s important for shipbuilders and marine buyers alike to choose the right compounds for their marine application – rubber, in particular, must be able to work effectively as part of a design that involves metals, other composites, and even wood. What types of application involve marine rubber? Marine rubber comes in a variety of forms – after all, a compound that works as a window seal in one vessel may not be appropriate as sound muffling in another. Typically, both marine and civilian vessels will use the same general types of rubber to fulfil their various requirements. Applications will include products for sealing and insulation, as well as trim and bumpers. In marine architecture and engineering, there is rarely a ‘one size fits all’ solution. Because of this, it’s important to ensure that boat builders and marine buyers alike choose the right supplier for their marine rubber products. Even the layman knows that ships need watertight sealing and insulation. The rubber used for these products needs to be both high-quality and affordable, as well as designed specifically for purpose. Different sections of a ship require seals and insulation designed to withstand different conditions. 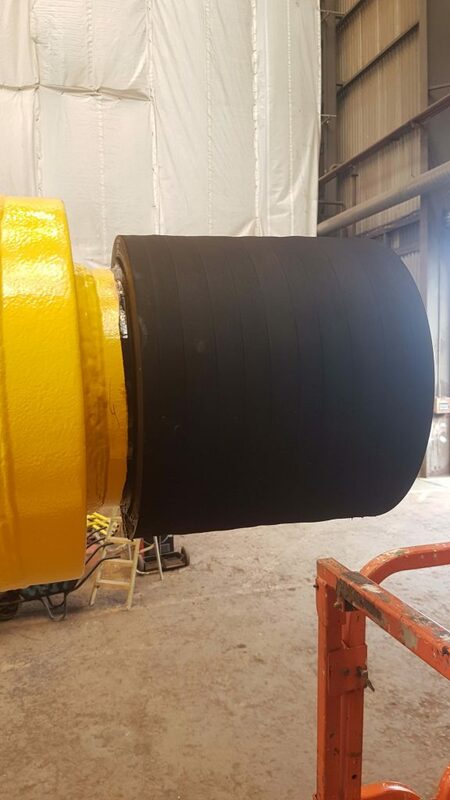 For example, a latch seal on the ship’s deck will require a watertight, corrosion-resistant rubber that stands up to harsh weather and temperature extremes. Conversely, a door seal on the fuel tank engine will need to be petroleum-resistant, withstanding liquids like gasoline and petroleum fuel. As a company that manufactures bespoke products for use at sea, we understand that certain applications require unique blends featuring specific characteristics. There are two main types of insulation within ships – acoustic and thermal. Both types are typically made from a rubber insulate designed to meet the specific needs of the brief. Thermal insulation absorbs heat from the ship’s engine compartment. Usually, silicone rubber is used for this as it’s capable of resisting high temperatures whilst simultaneously providing unparalleled sound-proofing. In some applications, it may be necessary to combine several different types of rubber insulation in order to achieve the desired level of acoustic and thermal insulation. All types of ship – whether they be civilian sailboats and yachts, or naval aircraft carriers – need door, window, and edge finish trim. Bumpers are also needed, especially for smaller vessels. The rubber used for these applications needs to be durable and weatherproof to ensure safety at all times. Do you need help sourcing bespoke rubber products for the marine environment? Aquasea are experts in the design, manufacturing, and supply of marine grade rubber products like seals, insulation, trim, d-fenders, and bumpers. Get in touch with a member of our team today for a free quote. We look forward to working with you! Aquaseal Rubber Ltd © 2019. All rights reserved.